Should You Invest in DENT Cryptocurrency? DENT has a total supply of 100,000,000,000. DENT as at the time of writing is priced at 0.000927 USD, 3.34% growth over the 24 hour period. Surprisingly, it appreciated over the 24 hour period against Bitcoin (BTC) and Ethereum (ETH) despite a plunge in BTC prices. Usually, alt coins like DENT are meant to follow the same price trends as BTC. DENT took a big hit from its all-time high of $1.42, dropping 99.8%. The bear market will literally erase a lot of cryptocurrency projects in 2019. Whether DENT will be one of those projects or not depends on several factors, some of which are not under their control. Like some of the more serious cryptocurrency projects, DENT has taken more of a “build it and they will come” approach. It doesn’t spend significant efforts on marketing its products, rather preferring to focus on providing value for its users through technical development and fundamentals. Whether we like it or not, mobile data is becoming as much of a need as water. Many parts of the world lack the infrastructure (both financial and physical) to gain access to the mobile data they need. Users in many regions are typically overcharged by mobile network providers. DENT provides a global data marketplace that offers $4.8 billion worth of unused data to consumers. DENT has high goals of becoming the world’s top telecommunication company. The top 10 telecommunications companies in the world are worth 1 trillion. This is quite the aspiration for an organization that hasn’t even spent half a decade in operation. DENT is an intermediary for people to buy data. DENT coins can be purchased in the DENT app to buy data or send to others. It allows for purchases via PayPal or credit card. DENT can also be purchased on cryptocurrency exchanges for investment purposes. The channels by which demand for DENT can be met have increased over time. DENT launched the DENT exchange which is available in over 28 countries. More than 7.5 million of its users from 141 operators in 41 countries bought DENT through the application. DENT can also be earned by completing tasks such as watching videos or playing games. Investing in DENT or the WhatsApp of Tomorrow? DENT could pose a threat to WhatsApp with its free DENT app to app calls scheduled for 2019. It also plans to enable video calling. To attract users to these types of features, it plans an afterburner loyalty program which offers discounts on data purchases and telephone minutes. DENT owns most of its coin supply. This suggests that the virtual currency and its platform is centralized in nature which from a security and price perspective is not great for other investors in the coin. Many of the cryptocurrencies have been dumped on exchanges. If the price of DENT were to increase substantially, there might be a huge incentive for the organization to sell off some of their stake to exchanges in order to realize profits. This indicates that a cautious approach should be taken if prices do increase. Such increases may be at risk of significant rapid price shifts that are equal to or greater than the initial increases. With 21,885 reviews on Google Play averaging 4/5 stars, its clear DENT meets consumer demand. 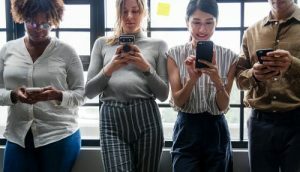 Telecommunication companies have some leverage in entering the FinTech space as a result of their user base and connectivity with phones. For DENT, a niche has been carved which could redefine the telecommunications and finance sector. It hasn’t found itself yet but it could in the future. It has laid down part of its foundations to foster the consumer relationships that raise demand for DENT. That being said, the supply and centralized nature of the virtual currency exposes the price of DENT to risks outside of the control of many potential investors. Why Are ICOs Still Popular in 2019? Should You Invest in Grin Cryptocurrency?